24 Great Do-It-Yourself Projects by Spike Carlsen Give your child a unique gift of a lifetime?without breaking your checkbook?and you and your kid will have fun making it! Building Unique and Useful Kids’ Furniture: 24 Great Do-It-Yourself Projects gives complete step-by-step instructions for building 24 professionally designed one-of-a-kind children’s furniture projects that are easy to build and your kids will love. You don’t need advanced skills. You don’t need specialized tools. You don’t need expensive materials. All of these projects can be built using basic tools and materials from any home improvement store. Step-by-step instructions and color photos show you exactly what to do?and many projects are labeled “Kid Friendly,” so your child can safely help you build it, developing their skills and confidence. These projects will fill every room of your house with kids’ furniture that is cleverly designed, attractive, whimsical, safe, with timeless design that look fresh 20 years from now, giving your kids a lasting legacy to pass on to their kids. by Blair Howard. 15 projects for the woodworker. These projects represent the work of not only the most famous members of the movement but also of such designers as Oscar Onken and Charles Limbert, whose works are not commonly presented in other woodworking project books. 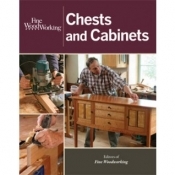 Includes step-by-step instructions, joinery, measured drawings, fumed oak process, and bills of material. Projects include a print stand by Frank Lloyd Wright, book stand by Oscar Onken, Book Case by Limbert, a writing desk by G. Stickley and more. Build skills and classic furniture pieces for your home. 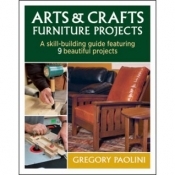 Author Gregory Paolini is a professional woodworker, with an affinity for the Arts and Crafts style. 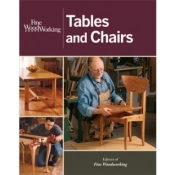 When he isn't building and teaching classes in his workshop, Paolini writes woodworking books with expert instruction, including this must-have guide – Arts & Crafts Furniture Projects. If you like Arts & Crafts style, you will want this book in your shop. Appealing to both beginner and seasoned woodworkers, Arts &Crafts Furniture Projects showcases nine iconic furniture projects that vary in difficulty. Timeless and always in style, Arts & Crafts is a perennial favorite and a style that works nicely with almost any home decor. Learn from an expert. Now, with help from Gregory Paolini, you can construct a beautiful suite of handcrafted furniture for your home! The projects featured here take you from the basics to advanced techniques – all clearly demonstrated in 25 detailed illustrations and 250 beautiful and instructive photographs.